Hey guys, I bought this ICS CXP08 (it's awesome) anyways, for some of you that have been involved in the threads I have made regarding what gun to buy, you'll remember me but it is two tone red, yet the paint rubs off very easy, I'm not gonna lie, I like it rubbed off, but does this mean anything legally ? The paint rubs off very easily. (I am quite pleased it does though) I don't have a UKARA. Thanks. Don't worry about it. Ukara is there to protect sellers of rifs. Think of it as a bonus. I mean technically it's still manufacturing an RIF I guess but who cares really. Just don't go boasting about it to anyone. Did my wife paint it???!!!! Just make sure you dont accidentally get some fairy power spray on it and remove the paint when wiping off your accidental spillage. Dont tell people on internet forums about your mishap either, it might give the wrong impression. Ah right, I do see it as a bonus lol. But, yeah, I guess it's their fault that their paint is bad. I'll just wait the 3 games and maybe sandpaper the paint off? I scratched a bit off of the hand guard off with my nail to see how weak it was... I guess sandpaper after 3 games would do. Thanks. Indeed not, that'd be manufacturing a RIF which is illegal unless you have a valid defence. Er, on a serious note let's just remember that a valid defence isn't clarified but that doesn't mean you shouldn't be careful. Again, I've been without UKARA for going on two years now but I keep a copious record of my attendances just in case. If you're reading this in two years time and you've just started airsoft then firstly, well done for getting the search to work in IPB. Secondly, if airsoft isn't banned already then don't be naughty - have a defence. There - our disclaimer is done. Wait a minute this didn't turn into the usual ukara shitstorm arguement... I'm gonna go look through zero in or UKAC to make sure I haven't quantum leaped or something. Hey, he's not boasting about it. And he certainly hasn't got the sites he plays at clearly advertised on his profile. 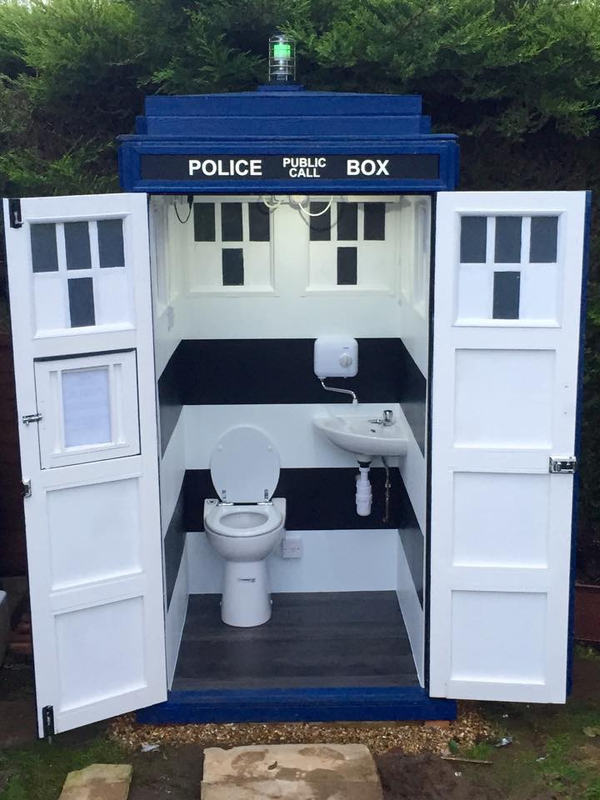 Love the police box, what scale is it? I could do with a 1:1 for the back garden, it would alleviate the problem of only having a toilet upstairs and not needing to build an extension. Just do what The Young Ones did. Lowers the council tax. Yup, you'll be fine. I'd consider the Fairy power spray first and about an hour of scrubbing - that'll get almost all of it off. Takes a long time, but it's worth it for the results - you could use wet and dry but that tends to be less effective though you'll get quicker results.